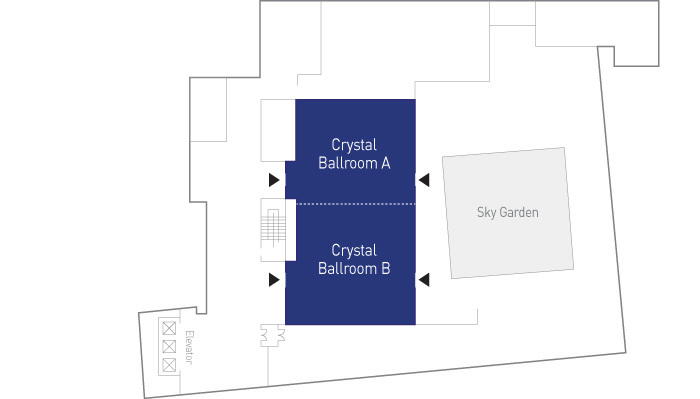 An extensive technical exhibition will take place alongside the congress from October 26-28, 2016. Please click sponsor’s name to get more information. Roche Diagnostics Korea is a local affiliate of Diagnostics Division at Roche, a global healthcare group based in Basel. It has provided innovative diagnostics solutions and services for testing bloods and body fluids & tissues, contributing to early detection, prevention, diagnosis, treatment and monitoring of disease. Roche Diagnostics is the world leader in in vitro diagnostics and tissue-based cancer diagnostics, and a frontrunner in diabetes management. Roche is a pioneer of Personalized Healthcare and it aims at providing medicines and diagnostic tools that enable tangible improvements in the health, quality of life and survival of patients. 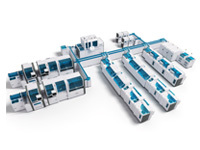 Roche introduces cobas® connection modules (CCM) to provide customers the ability to connect to the Roche standalone automation portfolio directly to Roche analytics without compromising the flexibility of the standalone automation concept. 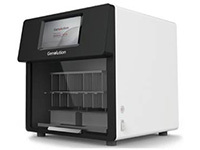 Based on its design, this high-volume automation solution adds value to a laboratory environment by providing convenient sample loading, quality and quantity checks, workflow flexibility and multidisciplinary connectivity, such as hematology, coagulation and the first IVD vendor to connect molecular testing solutions validated for cross-contamination compliance. 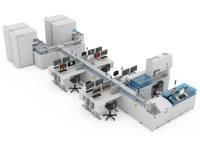 With more than 200 CCM solutions shipped worldwide in just two years, CCM has demonstrated the market’s demand for a fast, accurate and flexible automation solution in the high-volume environment. 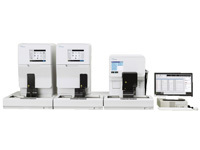 Roche launches new fully automated molecular diagnostics systems. 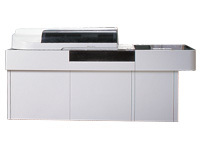 With cobas® 4800 System delivers flexibility to manage daily workflow and varying throughput demands. 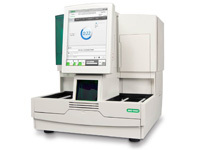 It offers walk-away sample preparation, plus advanced real-time PCR amplification and detection technology. 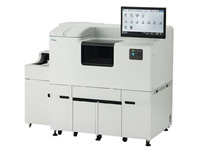 cobas® 4800 System is designed to evolve with the changing needs of the lab, providing an automated, flexible, and easily configurable platform to meet workflow and throughput demands. With the addition of Virology assays on cobas® 4800 System a new era will begin which will allow for more freedom to explore. 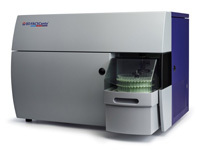 The Stratus® CS 200 for acute care diagnostics provides quantitative cardiac assays for fast, accurate evaluation of patients presenting with suspected myocardial ischemia. 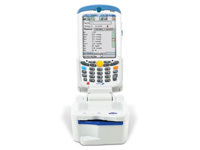 Its efficiency and ease of use make it ideal for both point-of-care testing and lab applications. We find out about our mission to make better health possible for humankind. Our heritage has discovered 125-year history of innovation and takes a look at the road ahead. Our diverse businesses enable us to offer vast solutions to people worldwide during every stage of life and enable them to live not just longer but better. Our success and that of the communities we serve are intertwined. Find out how we work to realize our shared potential. 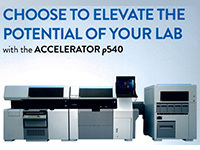 The ACCELERATOR p540 automates primary tube accessioning, decapping, aliquoting, sorting and centrifugation improving workflow efficiency for labs limited by space or budget. 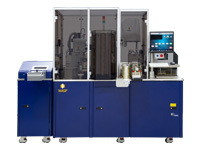 Two dedicated sorting areas deliver maximum flexibility – Aliquoter module sorts up to 1,000 tubes/hour and Sorting module sorts up to up to 500 tubes/hour. The ACCELERATOR a3600 is a total laboratory automation system, designed to meet the challenges of clinical laboratories, both today and in the future. 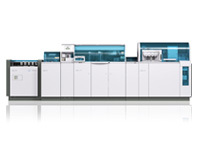 The ACCELERATOR a3600 combines configuration flexibility, scalability and advanced analytical performance, ensuring the unique needs of your laboratory are met. Automation maximizes lab performance by easily and efficiently managing fluctuations in your daily workload. 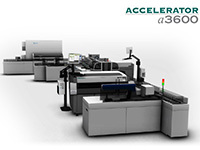 Whether your challenges are simple or complex, the ACCELERATOR a3600 provides a customized automation solution that optimizes performance and quality, ensuring your laboratory services operate at maximum efficiency. Knowing now matters.™ Alere delivers reliable and actionable information through rapid diagnostic tests, resulting in better clinical and economic healthcare outcomes globally. Our innovative diagnostics deliver reliable and actionable information, resulting in better clinical and economic healthcare outcomes globally. Our socially-conscious business approach focuses on creating breakthrough, cost-effective diagnostic solutions that address the most intractable diseases for all populations in all corners of the world including infectious disease, cardiometabolic disease and toxicology. Alere is committed to delivering high-quality products and services that patients and providers can rely on for consistently accurate and actionable information. We deploy unique innovative technologies that not only transform diagnostic products, but also expand into new platforms and solutions with proven health and economic outcomes. 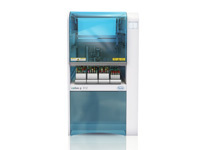 CAPILLARYS 3 TERA is a unique and exclusive automation program for HbA1c assay, offers the enhanced throughput of a 12 capillaries system, lateral access for a tube loader or a workcell configuration, and a platform to process dry blood spot assays. The epoc® System is a handheld, wireless solution that provides blood gas, electrolyte and metabolite results at the patient’s bedside in approximately 30 seconds after sample introduction. Alere™ i Influenza A&B is significantly faster than other molecular methods and more accurate than conventional rapid testing, giving you the confidence to make effective patient management decisions sooner. Beckman Coulter develops, manufactures and markets products that simplify, automate and innovate complex diagnostic test. For more than 80 years, Beckman Coulter has been working with every customer to deliver innovate, reliable and efficient Diagnostic Solution for patients across the globe. 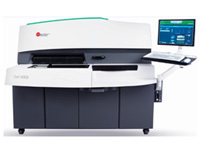 And Beckman Coulter Korea delivers various workflow-efficient and clinical-effective solutions of Lab Automation, Chemistry, Immunoassay, Hematology, Microbiology and Urinalysis to move healthcare forward. DxN VERIS enhances laboratory productivity through a simplified, flexible workflow and true single sample random access. It’s the ultimate in ease of use, so you choose how to best optimize your team to do the work you want, when you want — you decide. Anchored around a set of core features that sets the DxN VERIS* platform apart from the competition, the system was designed to ensure your lab can run any sample, at any given time, and with minimal manual intervention through a series of unique features that save you time and money; while providing faster results for your patients. Single sample random access simplifies your workflow and removes the need for batch processing. 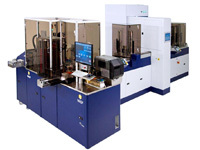 Individual samples can be loaded at any time without the need to reload other tests. The unit dose cartridges have all the reagents needed for the extraction and purification of the DNA or RNA from the sample using a proprietary magnetic bead method. It includes a tip to handle the sample, minimizing potential contamination. All the reagents for nucleic acid extraction, purification and real-time PCR amplification and detection are stored on board with the needed consumables. Since all assays are refrigerated on board, each day you can be up and running in less than 10 minutes. Graphical touch-screen user interface gives you access to an interactive, customizable management system. The DxN VERIS closed system limits the potential for contamination, and the software enables QC trending and auto-verification. HANDOK, a leading innovation-driven pharmaceutical/health-care company in Korea, develops, manufactures and distributes healthcare solutions to improve the health and quality of human life. Handok has a core business focus in diabetes, cardiovascular, muscular skeletal, psychoneurotic disease, human vaccines, medical devices, diagnostics and consumer health. Handok, founded in 1954, grew as a joint venture with Hoechst/Aventis/Sanofi from 1964 to 2012. Handok has also established strategic collaborations in several areas with multiple multinational pharmaceutical companies. Classical biochemical techniques that detect different metabolic properties of microorganisms typically take hours or even days and often lack specificity. 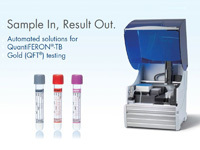 Using the MALDI Biotyper, you can go from sample to result within minutes. Hospital interface glucose meter that measures blood glucose using electrochemical method. BAROzen H expert System can manage data systematically and easily. After equipped with cradle, the data is transmitted to the server automatically. You can use multiple communication mode to send the data. Seegene is the world's leading developer of multiplex molecular technologies and multiplex clinical molecular diagnostics (MDx). Seegene's core enabling technologies - DPO™, TOCE™ and MuDT™ - are the foundation for MDx tests that can simultaneously detect and quantitate multiple targets with high sensitivity, specificity and reproducibility. Seegene offers MDx tests in infectious diseases, genetics, pharmacogenetics, and oncology, and actively partners in the development of new tests and the improvement of the quality of healthcare utilizing its breakthrough multiplex molecular technologies. Sysmex Corporation is an integrated company, developing and manufacturing the instruments, reagents and software that are needed for in vitro diagnostics, along with the necessary sales and support networks. Serving customers for more than 40 years, Sysmex focuses on technological leadership in in vitro diagnostics (IVD) and information that make a difference in the health of people worldwide. The company is also exploring emerging opportunities in the life science field. Its R&D efforts focus on the development of high-value-added testing and diagnostic technologies that are innovative, original and optimize individual health and personalized healthcare. 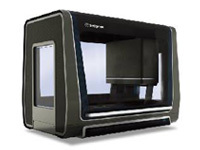 Sysmex also seeks to leverage its state-of-the-art technologies for cell, gene and protein analysis. 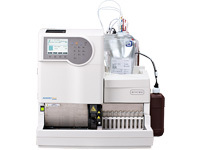 UN-Series is next step towards a fully automated urinalysis workflow solution. As designed modular concept, it can combine with UF-5000/4000 (Automated Urine Sediment Analyzer), UC-3500(Automated Urine Chemistry analyzer) and UD-10 (Urine Particles Digital Imaging device) depend on customer needs. UN-Series can select customer’s own solution to set up the workflow as customer needs. 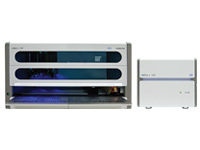 HISCL-5000 was born with potential required to enhance efficacy and provide higher added value, which respond to diverse laboratory needs as the medical environment changes. Quick measurement in 17 minutes in reaction time enabling TAT to be shortened, high sensitivity / wide-range measurement to provide accurate test data as well as to reduce oversight and/or re-test, very small amount of specimen of 10-30 μL/test enabling samples for re-test to be secured and more tests to be carried out in a child sample, and excellent usability including the continuous loading system enabling 24-hour operation as well as the substantial user interface demonstrating those capabilities to the utmost have been realized. The further evolved real continuous system, HISCL-5000, is an automated immunoassay system meets forefront needs by the laboratories. BD is a leading global medical technology company that develops, manufactures and sells medical devices, instrument systems and reagents. The Company is dedicated to improving people's health throughout the world. BD is focused on improving drug delivery, enhancing the quality and speed of diagnosing infectious diseases and cancers, and advancing research, discovery and production of new drugs and vaccines. BD's capabilities are instrumental in combating many of the world's most pressing diseases. Founded in 1897 and headquartered in Franklin Lakes, New Jersey, BD employs nearly 30,000 associates in more than 50 countries throughout the world. The Company serves healthcare institutions, life science researchers, clinical laboratories, the pharmaceutical industry and the general public. BD, Inventor of the BD Vacutainer® System, is the worldwide leader and inventor of evacuated blood collection tubes. We support our products with extensive clinical expertise and educational materials to help you achieve the best possible results. Only BD provides a full offering of BD Vacutainer® Blood Collection Tubes in both glass and plastic. 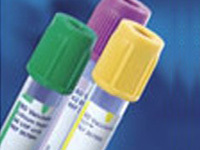 BD Vacutainer® Plus Plastic Tubes offer a safe method of blood collection. They also reduce the potential for tube breakage and specimen spillage, thereby reducing the potential for exposure to blood borne pathogens. 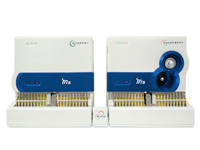 Built on more than 30 years of BD experience and leadership in flow cytometry and multicolor analysis, the BD FACSCanto™ flow cytometry system delivers reliable performance, accuracy, and ease-of-use for today’s busy clinical laboratories. To further expand your lab’s best-in-class clinical diagnostic services, the BD FACSCanto system has 10-color capability. Optical enhancements and a 4-3-3 configuration deliver high sensitivity and resolution for accurate results. Biosewoom is the leading company in the development of viral loads in routine diagnostic viruses, HBV, HCV, CMV, EBV, BK… And provide a broad range of kits by real time per, and pcr ssp, sbt for HLA kits. Biosewoom has quality assurance system for the activities of manufacturing, for in vitro diagnostic reagents for the Field for real time pcr reagents with the requirements of the international standards, Biosewoom is committed to take a new leap through the development of continuous investment in R&D of new Products using up to date technology. Attentive to the needs of clinical diagnostics, all our products are offered with a commitment of High Quality and Service. - 48 Specimens at single run in 10min. Since 1972 when the first blood grouping reagent was introduced to market, our company has developed and distributed a variety of sophisticated reagents to medical institutions at home and abroad. These include infectious diseases (HIV, HBV, HCV etc.) test reagents, and tumor marker and parasitological test reagents which require very advanced technologies. This the company to achieve impressive growth in the major areas of in vitro diagnosis, including clinical immunity, clinical chemistry, and diabetes diagnosis. The company also developed and introduced GENEDIA HIV 1/2 ELISA, an HIV/AIDS diagnostic reagent, for the first time in Korea in 1987 through long-term consistent R&D efforts as part of our commitment to promoting public health. Green Cross Medical Science was founded in 2004 as an independent corporation in a bid to diversity our business portfolio to medication equipment, and devices and other supplies in addition to the in vitro diagnosis business. Green Cross Medical Science has achieved annual growth of 20% or more in its relevant market, and more recently pushed ahead with upgrading diagnostic reagents based on real-time molecular reagents and specific recombination antibody forming technology. As such, Green Cross has made consistent efforts to develop and introduce market-oriented products under the motto “Open R&D/Innovation” while seeking to solidify its image as a ‘global player’ as we boost our effort to develop products targeting international markets around the world, including the US, Russia, Europe, Africa, Middle East, and India. LG Life Science has been developing molecular diagnostics, immunodiagnostics and allergic diagnostic products, including Koreas' first hepatitis C diagnostic reagent, through ceaseless investment and R&D for the last 20 years to secure core competence in the In-Vitro Diagnostic business. We focus on finding the target materials needed for early diagnosis of diseases with excellent domestic and foreign research teams and strive to conduct research on original technology for the development of next-generation diagnostic techniques. Also, we push forward to lead the In-Vitro Diagnostic market from product development to production and marketing and actively invest for more prompt and exact diagnosis of circulatory diseases, which will be the focus area for treatment in the future, various cancers, allergies and adult diseases. We at LG Life Science will make continuous efforts to grow into the world's top brand in the diagnostic agents industry. ARKRAY, Inc. is focused on always providing new value to our customers and this is based on our founder’s drive for taking on challenges. This drive has been key over the years as we built up own, rare business style and maintained a comprehensive approach to the development, manufacture and distribution of the sample test devices, diagnostic reagents and diagnostic support tools needed for clinical testing. A world leader in the field of in vitro diagnostics for 50 years, bioMérieux provides diagnostic solutions (reagents, instruments, software and services) which determine the source of disease and contamination to improve patient health and ensure product safety. We develop tests that bring high medical value for clinical decisions in the areas of infectious diseases, cardiovascular emergencies and targeted cancers. bioMérieux is determined to continue to play a pioneering role by innovating and designing the diagnostics of the future to address the major challenges for public health worldwide. 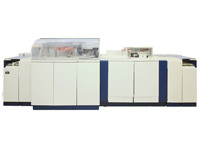 The Walk Away Specimen Processor (WASP®) instrument is a fully automated system used to process microbiological specimens in liquid phase for the investigation of infectious microbes. The WASP® has been designed to work with the Liquid Based Microbiology (LBM) specimen collection and transport devices sup-plied by COPAN as well as many other specimen container types used to transport liquid specimens. To be installed in Microbiology Laboratory or Hospital Department. Bioneer Corporation is Korea’s first and currently leading biotech company, established in 1992. 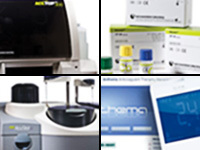 To achieve our mission “To help people” with patented technology, we have developed state-of-the-art molecular biology products and full line-up of automatic instruments – including novel enzyme technologies, nucleic-acid extractor, thermal cycler, real-time qPCR machine and MDx workstations. Bio-Rad Laboratories, Inc. develops, manufactures, and markets a broad range of innovative products and solutions for the life science research and clinical diagnostic markets. The company is renowned for its commitment to quality and customer service among university and research institutions, hospitals, public health and commercial laboratories, as well as the biotechnology, pharmaceutical, and food safety industries. Founded in 1952, Bio-Rad is based in Hercules, California, and serves more than 100,000 research and healthcare industry customers through its global network of operations. 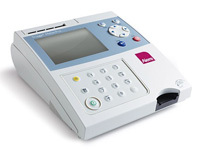 - IH-500 is a highly innovative instrument setting new standards in immunohematology testing. 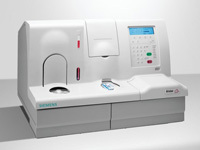 - IH-500 combines functionality and design to satisfy the changing needs of a modern immunohematology laboratory. D-100 system generates gold-standard HPLC results every 45 seconds with variant detection and no interference from common variants. The onboard Advisor provides consistent thorough review of every result, ensures nothing is missed while dramatically reducing hands-on time. With over 30 years of experience in HPLC testing, Bio-Rad has developed the most advanced solution for A1c analysis. The D-100 system simplifies high throughput A1c testing without sacrificing the high quality results that are critical to patient care. Contact your Bio-Rad representative for a look at the future of A1c testing, today. 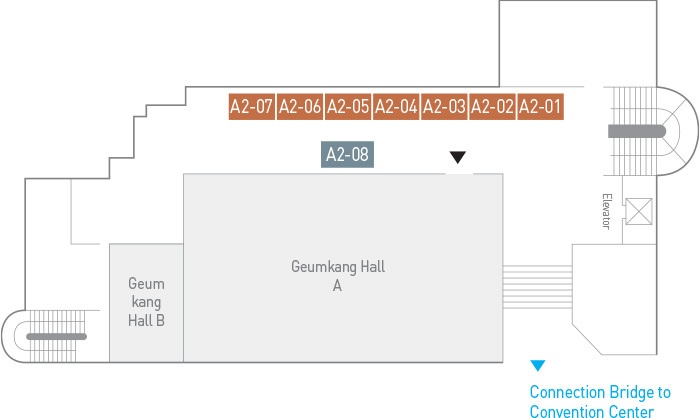 EUROIMMUN KOREA, Inc., a subsidiary of EUROIMMUN, is a world leader in the field of medical diagnostics. EUROIMMUN established itself as an industry innovator with its unique IFA BIOCHIP Mosaic technology And has successfully introduced new technologies such as ELISA, Western & Immunoblot assays since its inception in 1987. The company’s global success is attributed to its strategic product development in which designer antigens, as well as patented and licensed technologies, play an important role. EUROIMMUN is consistently expanding its product offerings with new assays to aid in the detection of antibodies associated with autoimmune diseases, infectious diseases, and allergy. Centrifuge is an equipment to use in separation and enrichment of samples which are different specific gravity by using centrifugal force, and it is using variously at overall industry fields such as medical science, life science, physics, etc. 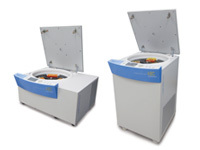 For centrifuge, the balancing of samples is very important due to rotating at high speed. Labmater® ABC-CB200R+(Bench-top type)/CB200RF(Floor-standing type) can make balance automatically through Inventive Self-compensation System and can separates more accurately. 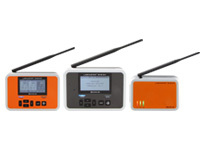 Labmaster® RMS-S4 is the Remote Monitoring System which can monitor and store the value of temperature and humidity in customer’s facility by wireless network. It can be used in various fields due to simple, scalable, cost effective and well serviced, and especially in hospital and laboratory, leads excellent research work by managing efficient data. 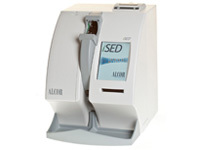 From its start in 2000 in electrochemistry, i-SENS has successfully developed blood glucose monitoring systems, electrolyte and blood gas analyzers, and immunosensors and launched those products successfully in places from its home market in Korea to worldwide markets including the US, Japan, Europe and many others. 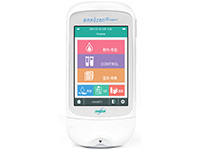 i-SENS’ CareSens blood glucose monitoring system line, through its small sample size and quick test time, has been receiving recognition from its users for its high quality and ease-of-use. i-SENS now has the number 1 market share & manufacturing company of BGMS market in Korea in 2015 and leads the market through diversified strategy. A1Care measures accurate and precise HbA1c concentration using enzyme reaction mechanism which is homogeneous reaction. It takes only 4 minutes 20 seconds to get HbA1C test results and requires small(2.5㎕) blood sample. All-in-one cartridge also facilitates simple preparation. JW Bioscience is leading the localization of medical devices in Korea We have localized a wide range of medical devices such as digital X-ray machines with state-of-the-art feature, LED surgical lights, incubators, operating tables and examination tables. Also, we have acquired CE and ISO certifications in recognition of our excellent products and technologies, and have been spurring our efforts to expand into and firmly establish ourselves in the overseas markets. Moreover, we manufacture and supply a wide variety of medical devices for the purpose of examining, treating and operating on patients including the diagnostic reagent equipment necessary for various examinations and diagnosis. Today’s Urinalysis Departments need both advanced technology and truly innovative strategies. That’s why Beckman Coulter offers IRIS, a complete urine testing solution. IRIS optimizes and advances urinalysis and body fluid testing through an advanced, propriety and proven technology called Digital Flow Morphology. Quality, Performance, Reliability and Functionality are the key benefits of IRIS’ testing solution. Using Digital Flow Morphology, IRIS empowers laboratories to accelerate delivery of accurate patient results, reduces unnecessary repeat testing and manual operator intervention. 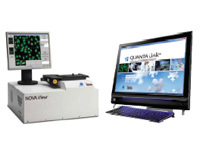 That’s workflow improvement your laboratory can count on. - Hemoglobin in the extraction buffer is stable for 14 days at 2-8 °C or 7 days at 15-30 °C. Established in April, 1999 with the name of Medistar Corp. and focused on in-vitro diagnostics market in Korea. Since we start of coagulation business in 1999, Medistar’s development has been driven by innovation with several partners in the world. Medistar has built up a local office for service from Daegu and Busan, Gwangju, Jeonju and now our controlled instruments are found in many hospitals. Today, Medistar delivering high-quality products and service, also we will continuously effort to decrease of cost for diagnostics for our end-users. BS-800 series are designed for modular system, Consists of up to 2 modules and each name is BS-800M, BS-800M2. 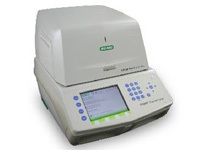 It also can be combine with immunoassay analyzer which systems is SAL-6000. 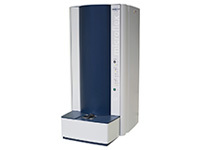 BS-800M will suggest of solution for high workload laboratories and high volume samples up to 500 samples or 600 samples per day. 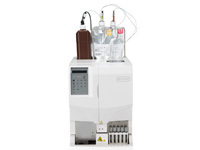 BS-800M was adopt to in-direct ISE systems for Na+, K+, Cl- and reagent bar-code for auto loading bottled exclusive reagent. BS-800M can make convenience with rack type modular system to loading samples of component modular routine line and emergency line, also block to emergency state when break down of modular system with sample tray in BS-800 which is valuable machine for your laboratory. 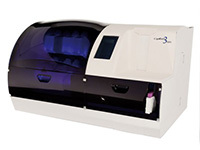 iSED is auto ESR analyzer which use advanced rheology technology with micro-flow cell captures the critical kinetics of Red Blood Cells in a highly controlled testing environment. Utilizing a very small sample, 100 microliters, the iSED captures the impact of the most critical phase of the early-phase in the phenomenon of RBC sedimentation, the so called Rouleaux formation, to produce ESR results that are unaffected by the variables commonly associated with traditional ESR testing, such as mixing of the sample and temperature. Most importantly, iSED results are not affected by the hematocrit. 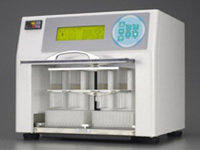 iSED can load 20samples at once and continuously load the sample can be processed, which can help laboratory operation and quick result out within 3minutes for each sample. 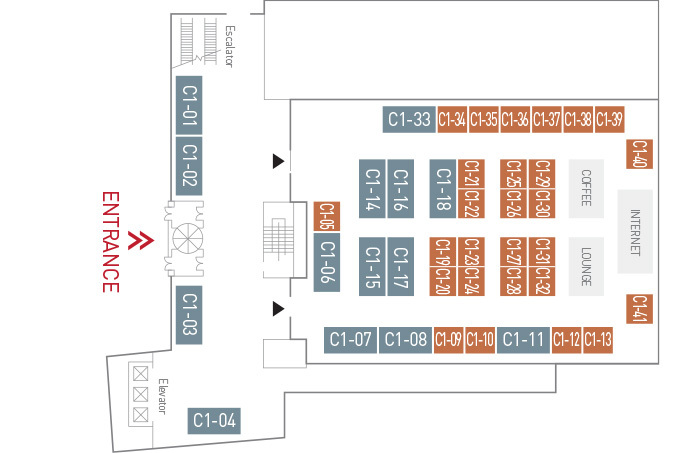 NGeneBio was founded in October 2015 as a joint venture between Genecurix and KT, develops in vitro diagnostics (IVD)/companion diagnostics (CDx) products, bioinformatics software (SW) and personal genomics products with cutting-of-edge technologies including next generation sequencing (NGS) platform. NGeneBio recently launched NGS-based breast cancer test panel (BRCAaccuTestTM Panel, RUO) and lung cancer test panel (LUNGaccuTestTM Panel, RUO), inclusive of fully-functioning data analysis SW, which has been developed originally and exclusively. In support of laboratory medicine community, our mission is to provide superior quality IVD and CDx products/services with convergence of innovative biotechnology and bioinformatics. QIAGEN is the leading global provider of Sample to Insight solutions to transform biological materials into valuable molecular insights. 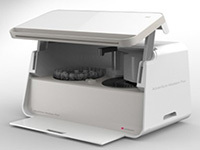 QIAGEN sample technologies isolate and process DNA, RNA and proteins from blood, tissue and other materials. Assay technologies make these biomolecules visible and ready for analysis. Bioinformatics software and knowledge bases interpret data to report relevant, actionable insights. Automation solutions tie these together in seamless and cost-effective molecular testing workflows. 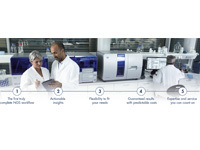 QIAGEN provides these workflows to more than 500,000 customers around the world in Molecular Diagnostics (human healthcare), Applied Testing (forensics, veterinary testing and food safety), Pharma (pharmaceutical and biotechnology companies) and Academia (life sciences research). Further information can be found at http://www.qiagen.com. 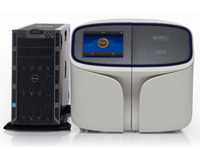 The GeneReader NGS System is the first complete Sample to Insight NGS solution designed for any research lab to deliver actionable results. Rely on one partner to provide a seamlessly integrated workflow offering ease of use and efficiency from Sample to Insight. Create relevant reports using QIAGEN’s proven gene panels and bioinformatics. 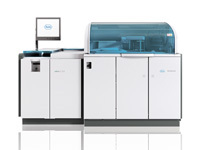 Scalable batch sizes and continuous loading of multiple flow cells enable you to adapt and scale the GeneReader NGS System to match your needs and grow. Seegene Medical Foundation is a leading reference laboratory in Korea with more than 590 employees consisted of clinical pathologists, MSs, Ph.Ds and laboratory technicians. Our goal is to set global standard in life sciences by providing high quality results for diagnostic tests being referred from hospitals across the country. SG Medical, Inc., provides solution in clinical IVD market by trusting partnership with top global companies. 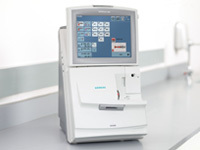 As sole distributor of Hitachi - Clinical Chemistry Analyzer, Christie Medical Holdings – VeinViewer and distributor of Sekisui – clinical chemistry reagent company, we carry unique strength in clinical diagnostics market. Our future vision toward developing new items and broadening clinical IVD business will lead us to become the No. 1 global healthcare company. Laboratories need to be able to report analysis results quickly and accurately and handle a wide variety of assays. 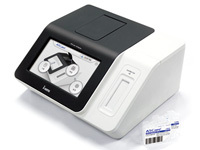 Labospect 008AS combine S module, which enables high-speed processing with cutting-edge technology such as twin high-speed aliquot arms and non-contact ultrasonic mixing and P module, which makes users easy to install reagents. Labospect 008AS performs high-speed processing (more than 2,000 tests per hour) making it easier to report measurement results quickly. Also the target system can be built to suit your needs. 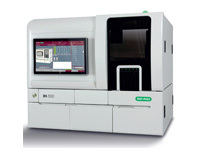 Ion S5 Sequencer and Ion S5 XL Sequencer are DNA sequencing devices enable DNA analysis by measuring hydrogen ions released during nucleotide bindings via semi-conductor chips. 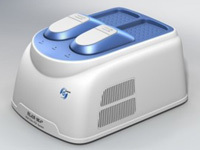 This device is used to analyze DNA sequences at various specific regions among multiple human genes. We are pioneers and developers of IVD testing solutions. We provide high quality systems, reagents and software to labs and hospitals around the world. We strive to enhance care and improve the lives of patients, each and every day. Werfen has become a global leader, thanks to our dedication to Research & Development and a targeted acquisition strategy. Through the years, allowing us to focus on the long-term, and to grow our R&D investment by 10% annually. We are Instrumentation Laboratory, Inova Diagnostics, Biokit and Systelab. We are Werfen. we are now the world's leading developer of hemostasis testings systems. accurately, in the central laboratory or at the point of care. get the results you need, when and where you need them most. ASTA is a technology-based company that develops and manufactures analytical instruments, equipment for sample preparations, and supplies. 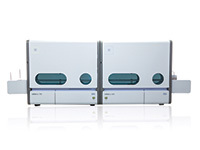 In particular, ASTA focuses on the development of MALDI-TOF MS (Matrix Assisted Laser Desorption Ionization Time-of-Flight Mass Spectrometer), its applications and supplies including MALDI-plates, matrix spotter and microwave based sample digestion system. 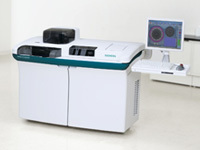 Recently, MALDI-TOF has been introduced and widely used in the medical field as a diagnostic technology. ASTA has been developing various MALDI-TOF based medical applications such as cancer diagnosis and micro-organism identification. The glycan pattern analysis of serum proteins by MALDI-TOF, which is a ASTA owned cutting-edge technology, has successfully applied to early diagnosis of ovarian cancer and expanding its applications to other cancers such as breast cancer. In addition, MALDI-TOF based micro-organism identification system has been launched by ASTA and expanding its usages to medical field, agricultural industry and food industry etc. Since the establishment in 1998, Boditech Med Inc. has provided high quality in vitro diagnostics analyzers and reagents to customers worldwide. The company has significantly grown at a tremendous rate over the past decade. We are currently committed to providing over 80 countries with two main products: ichromaTM and Hemochroma Plus. We have maintained no. 1 position in reagent sales of a single reagent over the past five years in China. We will continue our efforts to enhance human health and wellness by providing a wider range of diagnostic biomarkers and automated analyzers throughout the world. Celemics is a comprehensive, end to end NGS(Next Generation Sequencing) service provider as well as a NGS Target Enrichment Panel(Kit) manufacturer. 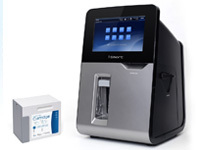 Celemics has made significant achievements in the Next Generation Sequencing Industry: 1. Developed and commercialized Europe and Asia's first and only comprehensive Target Enrichment NGS kit. 2. Successfully developed individually synthesized Target Capture Probes with a proprietary rebalancing technology for high coverage and uniformity. 3. Competitive pricing structures which are significantly more cost effective than leading competitors. Dong-A ST's Diagnostics Division is in charge of selling diagnostics and testing equipment, as well as reagents. It distrubutes the products of Beckton Dickson, Diasorin, Thermofisher, Dirui and Energium, while striving to expand product portfolio to highspeed closed tube sorter, mobile phlebotomy classificaition & labeling system, and some cutting edge IVD products. Dongbang POC Co., Ltd. was separated in 2006 as an independent company from Dongbang Healthcare Co., Ltd which has been in medical device industry since 1979. Dongbang POC specializes in Clinical Laboratory medical devices and is currently representing Nova Biomedical(blood gas/electrolyte analyzers) and Arkray (dry chemistry analyzers). Dow Biomedica Inc. is a marketing specialist of diagnostics rather than logistics company, and focusing on development of new market segments. Dow has been introducing highly innovative technologies or novel biomarkers for the past 12 years through extensive experiences of regulatory affairs, marketing skills and etc. Dow has specialty areas of cancer and infection diagnostics on the basis of innovative technology e.g. PCR, Sequencing and NGS. Number of staffs is 25. 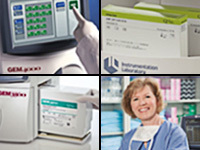 Founded in 1983, Eone Laboratories has dedicated to improving health care system by introducing a number of leading-edge testing techniques. With a national sales network, we provide accurate and timely results of laboratory tests through rigorous quality control. Based on our knowledge and experience accumulated over the years, Eone will contribite to excellent patient care by providing comprehensive, high quality laboratory testing. Green Cross Laboratories (GC Labs) is a Korea’s leading clinical laboratory which provides clinical and anatomic pathology reference testing. GC Labs offer more than 4,000 tests and test combinations, ranging from routine tests to highly esoteric molecular and genetic assays. We continue to acquire the latest technology and machines for clinical testing with strong and open partnerships with world-class laboratories and institutions. With our clients, GC Labs will continue to expand beyond Korea to become a world-leading reference laboratory"
GeneX, established in 2013, provides innovative products from Cepheid as exclusive distributor in Korea. 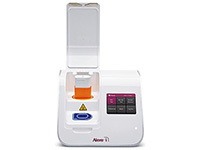 It introduces products related to molecular diagnostics and IVD based on Real-time PCR to medical institutions. Genome Care was established in November 2012 in order to provide a variety of genetic information for woman & baby through convergence of world-class genomic analysis capabilities and bioinformatics (Bio-informatics) technology. On the basis of outstanding R&D researchers and resourceful global networks, Genome Care is committed to become a global leader in the clinical field of genomics using the NGS technologies. GENOMOM, which is NIPT service of GENOME CARE has been providing fetal trisomy 13, 18 and 21 (Patau syndrome, Edwards syndrome, and Down syndrome) accurately. HBI is a health care specialized bio venture firm which makes an effort to realize the human health and happiness based on the special technologies in the field of biochemistry and immunology which are hardened for longer than 20 years in the bio engineering industry. HUMASIS strives to develop, manufacture, and market IVD for the detection of cardiac markers, fertility hormones, infectious diseases, and tumor markers in rapid tests for home and laboratory use. New quantitative POCT analyzer introduces its new parameters regularly to cover the constantly expanding range of applications. HUMASIS has reached more than 50 countries of distribution worldwide. ImmuneMed Inc. promises to become a world-trusted company based on creative high-tech intensive research and sound management. Our mission is on human health and welfare in terms of the treatment of incurable or obstinate diseases. We, ImmuneMed is an infectious disease diagnostic kit manufacturing company with top quality and particularly focused on the in vitro rapid diagnosis of Acute Febrile Illness(AFI). With high sensitivity, specificity and differential detection of IgM and IgG on the same kit simultaneously, we manufacture Leptospira, Scrub typhus, and Hanta Rapid Diagnostic Kits using the lateral flow assay. The division of Molecular Diagnostics at INFOPIA Co., Ltd. Has been investing and researching molecular markers and devices for diagnosis of various disease which may be caused by a bacteria, virus or human genetics. Our commitment to markets, customers and patients we serve simple and convenient solution platform including multiplex assay and automation system to provide reliable and accurate results and time-saving and cost-effective solution. Insol supplies POCT(Point of care Test) Oraquick Adv, Oraquick HCV to the emergency room, providing HIV and HCV antibody test results of percutaneous injuries within 20 minutes. This offers an infection control, protection of cross-contamination between the patients, preventing infection of medical staff in ER. KM Healthcare Corp. was founded in 1995, as the first company introducing disposable surgical gowns and drapes in Korea. KM Healthcare is also producing and supplying medical supplies. We will make continuous efforts to develop and expand our products line and business. As a professional company to provide total solution for medical staffs and patients, KM Healthcare promises to realize the real partnership with you. KogeneBiotech is an on-demand molecular diagnostic company which has 16 years’ experience in the field of the nucleic acid-based test kit. Based on expertise and active technical support, we provide our customer with the state-of–the art Real-time PCR kits of the wide range of parameters which can cover clinical dx, food safety test, and animal health. KogeneBiotech is founded 2000 in Seoul. Based on the Real-time PCR technologies we were grown as a one of the largest molecular diagnostic company in South Korea. 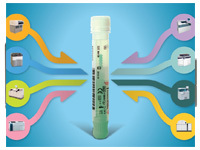 In 2002, KogeneBiotech has become the first company, who adopted the Real-time PCR technology in Korea. In 2014, KogeneBiotech were earned the industrial service medal of science and technology for Food safety from the Korea government. Following that, Kogene's method and kit were selected as a monitoring system standard method by government. For MERS-CoV and MTB kits, we were studied with medical institutions and researcher and published journal or paper constantly. Especially, MERS-CoV kit was developed in 2014 and it has been used to the standard method in 2015 Korea MERS outbreak. Kyung IL Medical has 28 years of experience in medical device and diagnostics industry and we are providing more valuable products in Korea. Kyung IL Medical has made constant efforts to satisfy the customer with ethical management, excellent product and high quality service. We will fulfill our all roles and responsibilities for leading medical device and diagnostics industry consistently. Luminex is founded in 1995 and Headquartered is located in Austin. Luminex is rapid growth with offices around the world based on serve both the Life Science Research and Diagnostics Markets. Luminex have been partnership with 60 companies related of Life science and provided bead material and instrument for multiplex analysis. Luminex have developed IVD product as like GPP and RVP product in focus on multiplex technology by itself and tried to help accurate and rapid diagnosis. Founded in Darmstadt, Germany in 1668 by Friedrich Jacob Merck, we are the world’s oldest pharmaceutical and chemical company. Over the course of nearly 350 years, we have become a truly global company. Our approximately 50,000 employees work in 66 countries and are united by their passion for new ideas, the possibilities of technology, and the potential to make a difference in the world. We are known as Merck internationally. In the United States and Canada, however, we operate as EMD Serono in the Biopharma business, as MilliporeSigma in the Life Science business, and as EMD Performance Materials n the materials business. NanoBiz is an emerging startup in diagnostic area and in advanced stage of development with a lab-on-a-chip technology of diagnostic products that integrate microfluidics and micro-electro-mechanical system (MEMS). This unique technology will provide fast, cost-effective and reliable clinical information to clients in medical and research area. NanoBiz will also provide not only comprehensive products but heart-touching services to clients worldwide soon. NCCP has been established as the sole national resource bank in korea in order to promote biomedical and public health sciences and provide researchers with various high-quality clinical pathogens isolated and standardized from Korean patients. Harnessing the power of reimagination. It’s how Ortho Clinical Diagnostics has been transforming in vitro diagnostics for more than 75 years. It’s made us a trusted partner of hospitals, hospital networks, blood banks, and labs around the world. And today it’s empowering us to advise our customers as they prepare for what’s next. From our earliest work in blood typing to the latest developments in laboratory systems, we’ve pioneered life-impacting advances. Scientific advances that have helped medical professionals diagnose conditions early and make better-informed treatment decisions. Our legacy inspires us every day and continues to drive us forward. ProteomeTech Inc. is a biotech company developing immuno-diagnostic products and providing proteomics-based R&D services. We have accumulated proteomics-related technologies since 2000. ProteomeTech Inc. has several innovative IVD products. All of Proteometech’s products, Allergy-Q, ImmuneCheck IgG and TriCheck, are world-first products and are being reputed a great success in Korea and the exporting countries. Radiometer develops, manufactures and markets solutions for blood sampling, blood gas analysis, transcutaneous monitoring, immunoassay testing and related IT management systems under the ABL, AQT, TCM, RADIANCE, AQURE, PICO, CLINITUBES and QUALICHECK brand names. Founded in 1935 and headquartered in Copenhagen, Denmark, Radiometer was a pioneer in blood gas testing, introducing the world’s first commercially available blood gas analyzer in 1954. Today, Radiometer’s products and solutions are used in hospitals, clinics and laboratories in over 130 countries, to provide information on the most critical parameters in acute care testing. The RAPHAMEDICS CORPORATION imports Special Biochemistry Items & Clinical Quality Control Materials etc. from specialized corporations against rapidly changing In Vitro Diagnostic Market and supplies the items to domestic diagnostic market. We are handling Special Items which Global Companies of In Vitro Diagnostics do not have and AMR Validation Materials as Clinical Quality Control Item of Diagnostic Laboratories including total items such as chemistries and immunoassay etc. Moreover, the novel items are being researched and developed consistently in annexed laboratory established in 2015. 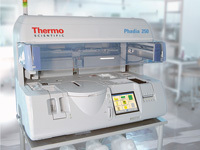 The RAPHAMEDICS CORPORATION will do our best for customer satisfaction against global changing of invitro diagnostics. Since 1967, along with the Korean medical diagnostics, the company has grown to be the leader of the market in supplying medical products. Samil P&T offers customers a variety range of high quality reagent and analytical instruments as well as reliable technical service to enable integrated clinical laboratory workflow solution possible. Samil Bioscience will provide a complete portfolio of research laboratory equipments, reagents, chemical supplies with high quality technical service used in scientific research, healthcare and science education. Seoul Clinical Laboratories, a clinical diagnostic laboratory founded in 1983, is the first referral laboratory in Korea to receive accreditation from the CAP. By endeavoring to fulfill its core values, ‘Quality, Service and Research’, SCL has developed into the largest nationwide laboratory with the best reputation in the reference laboratory field in Korea. SCL provides a wide variety of specialized laboratory assays and cutting edge research tests to over 4,500 medical institutions nationwide. SCL intends to increase its presence as the world class reference laboratory by providing precise test results and high quality customer-oriented services to medical practitioners throughout the world, as well as throughout Korea. Day in, day out, Stago is committed to enhancing healthcare quality by offering laboratories advanced testing systems and superior services, the fruit of our Haemostasis expertise and know-how (reagents, instruments, disposables and data management). With over 350 marketed products, Stago is a worldwide reference in Haemostasis and a 1st class partner for biomedical laboratories. Specialised in the fields of Haemostasis and Thrombosis, Stago invests in research and innovation to develop new and better performing reagents, systems and solutions. With 50 years of experience, Stago has acquired a charismatic image in Haemostasis and is well recognised among the international scientific world. Since its establishment in 1999, as one of the most capable diagnostic distributors in Korea, UnionLab Inc. has been importing and distributing quality diagnostic products from global manufacturing partners. Our mission is to supply the best in class quality products to our valuable customers by cooperation with excellent diagnostic manufacturers all over the world. Through this creation of values we have been contributing to our customers and to the development of laboratory medicine society of Korea. 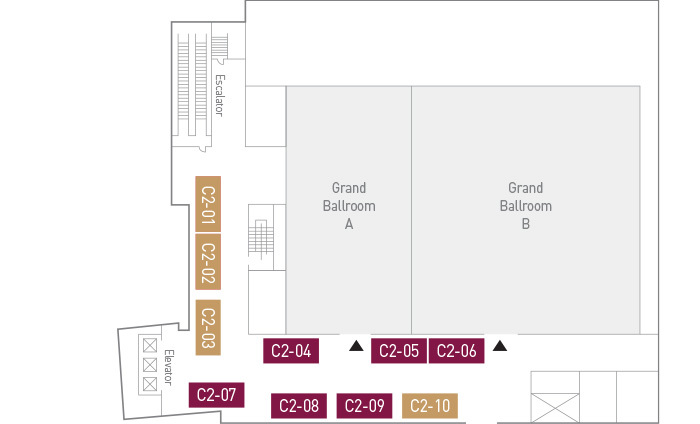 UnionLab Inc. is representing Diagnostic Grifols for transfusion medicine, Fujirebio-Europe for Neuro diagnostics and human HLA, MP Biomedicals for infectious disease, Hanil Komed for micribiology culture media, bioMerieux for Etest, CerTest Biotec for Rapid infectious diagnosis, MKL for bacterial identification, Copan Floqtechnology for transport medium and swab system, etc. 3.Very specialized and experienced with Novel Immunology, Genotyping, Real Time PCR, MultiPlexing, Sequencing, etc. 4.A lot of experience of Introduction, Registration, Promotion, Reimbursement, Performance evidence, etc.